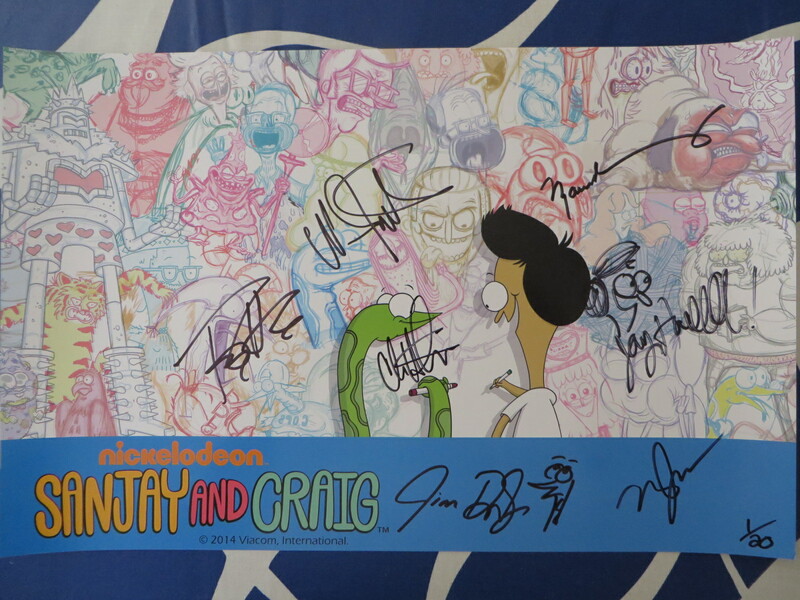 Roughly 11 by 17 inch mini poster for the hit TV show Sanjay and Craig autographed in black marker by co-creators Jay Howell and Jim Dirschberger (both added doodles to their signatures), plus voice stars Chris Hardwick, Maulik Pancholy, Tony Hale, Matt Jones and Nika Futterman. 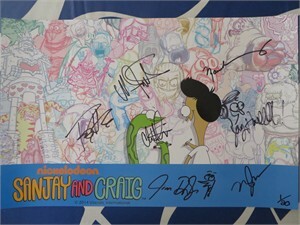 Obtained in person at very limited 2014 San Diego Comic-Con signing except Hardwick who was added in 2015. 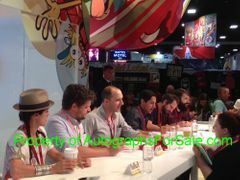 With photo from the signing, original autograph tickets from the 2014 cast and 2015 Hardwick signings, and certificate of authenticity from AutographsForSale.com. ONLY ONE LEFT.